Building your own email templates for the core emails of your Store will present you as a serious and legitimate seller. Additionally with a good welcome email you can keep more customers on your Store which respectively will bring more earnings from the sold products. In this tutorial we will show you how to change the templates for the most important emails your Store will be sending to your customers - the welcome email for newly registered customers and also the order confirmation emails. 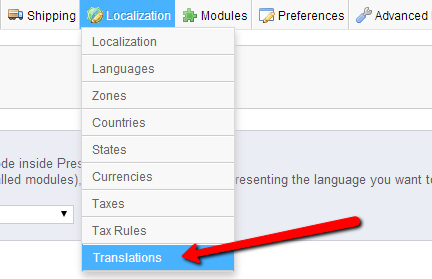 In order to edit the templates for these emails first you will need to login into your Store’s admin backend and to navigate to Localization > Translations. 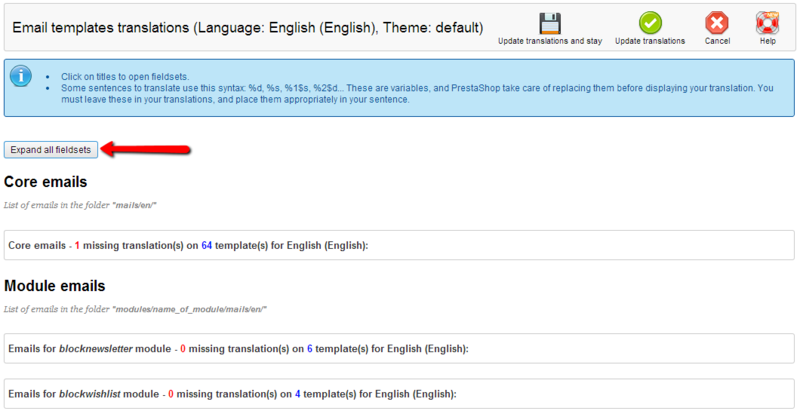 On the displayed page you will be able to see the first interface called “Modify translation”. There from the first drop down list please select the Email templates translation and then from the second drop down list please select Core(no theme selected). When both of these are selected please press the country flag after the second drop down field in order for the email templates to be displayed for editing. If you press the Expand all fieldsets button you will be presented with the currently available email templates on your store. In order to edit the welcome email you will need to locate the first email from the list under the Core emails headline and to press the Edit the email template button located right under the email template current content. In order to edit the order confirmation and purchase finalizing email please do so by editing the next template right after the Welcome email. 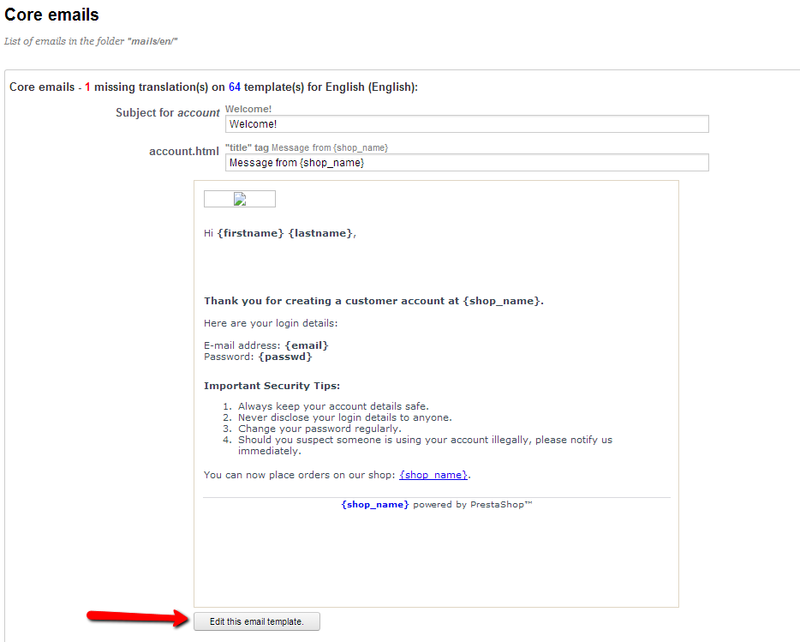 If you are experiencing issues sending your email from your store to your customers please feel free to check our other tutorial related to the SMTP configuration of your Store’s email service. Congratulations! You have successfully configured your Store's email templates!